The possibilities of reducing the viscosity of heavy fuel oil with an increased proportion of residual fractions through the use of nanomaterials, such as carbon nanotubes (CNTs) and dehydrated carbonate sludge, have been investigated. 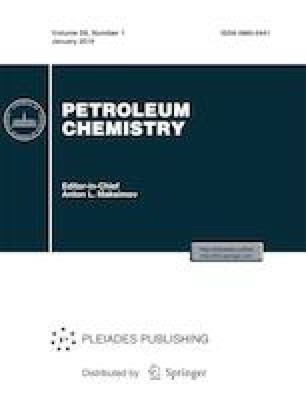 The results of studying of rheological characteristics of fuel oil and composite fuel containing carbon nanotubes dispersed in an oil-soluble nonionic surfactant (M100 fuel oil + 0.0125 wt % CNT + 0.5 wt % Diproxamine) or dehydrated carbonate sludge (M100 fuel oil + 0.1 wt % carbonate sludge) are presented, as well as their heating value. The existence of a synergistic effect of the combined use of CNTs and carbonate sludge has been established. The possible mechanisms of change in the viscosity of the fuel are considered. It has been shown that carbon nanotubes together with dehydrated carbonate sludge can be most promising for use as heating oil additives, since they reduce fuel viscosity, improve combustion efficiency, and reduce the emission of hazardous gases. This work was supported by the Russian Foundation for Basic Research, project no. 16-08-00731-a.